Luigi’s is the first staffed counter at Fast Food Blvd and it’s ready to serve you a hot personal sized pizza straight from the oven. 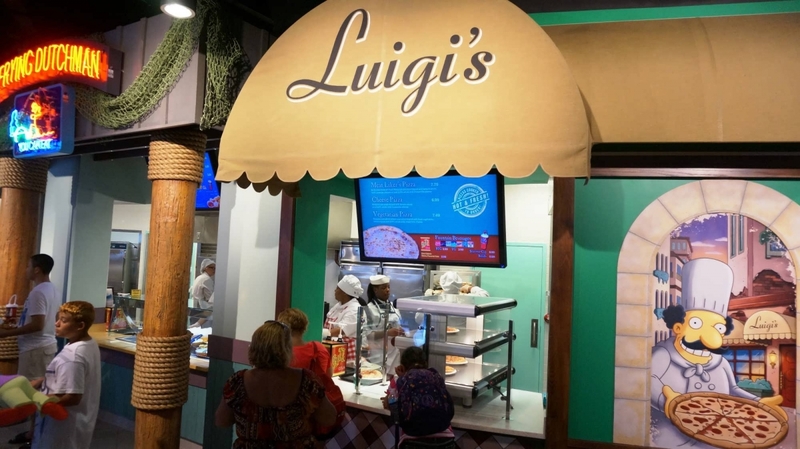 Luigi’s may have the smallest menu, but the pizza is of a higher quality that you will find in most quick-service restaurants, and it has two of the three available hot food items at Fast Food Blvd that are vegetarian-friendly. 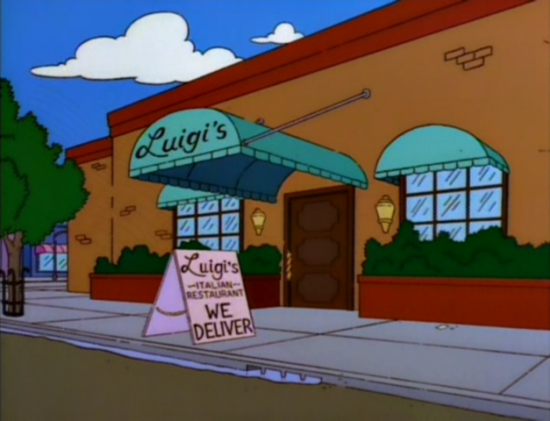 Luigi’s Pizza at The Simpsons Fast Food Blvd. Entrees are $6.99 to $7.79. As a vegetarian, I'm used to having a hard time finding something I like at amusement parks. 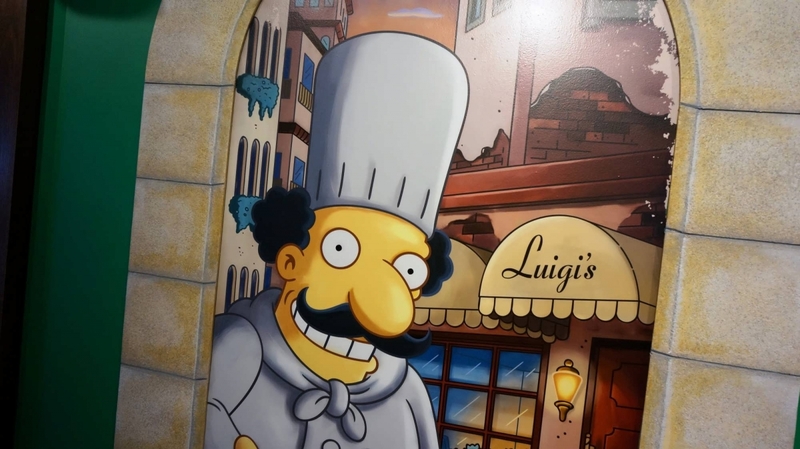 I like that the Simpsons Fast Food Boulevard has a few vegetarian options and I usually go with the pizza from Luigi's. The cheese pizza tastes really good and it feels more filling than some of the other vegetarian options like salad or fruit that they have. 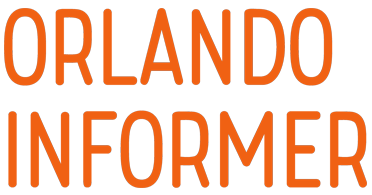 The first time I went it had a thick crust and the next time it had a thinner crust, which felt like a slightly worse value. However, both times it was delicious and I will definitely be getting it again. They always have the cheese pizza hot and ready so I have never had to wait. 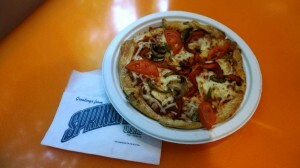 Bob Burdick Chef at Universal Studios has told me 4 times that the Mozarello cheese is vegan on all pizzas, which I find hard to believe. I have double checked that he understands the difference between vegetarian and vegan but he is still stating that the 100% whole milk Mozarello cheese is vegan. 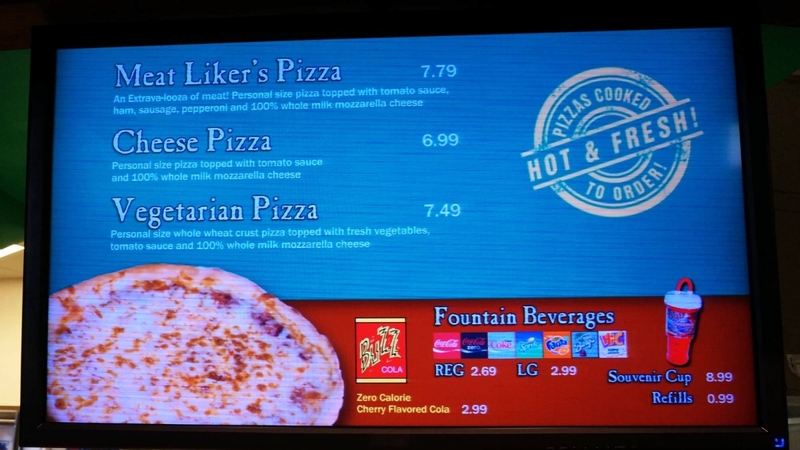 This does not make sense, seems hard to believe and does this mean that we can't trust Universal Studios with special dietary needs.